Ian Astbury and his Cult return with a renewed wild-eyed spiritualism and guitar growl. As a teenager, Ian Astbury went to the theater to see Apocalypse Now and fell under the spell of the Doors. Not long after, at the dawn of the ’80s, he saw the Clash, squatted and became a devotee of CRASS, but never gave up his love of poetic-majestic rock, even in his first goth-punk act, Southern Death Cult. After shaving the first two words off the name, the Cult, quite strangely in the decade of gloss, brought ’60s rock mysticism, Native American imagery and massive guitar hooks to center stage with the towering Astbury’s rebel yell holding it all together. 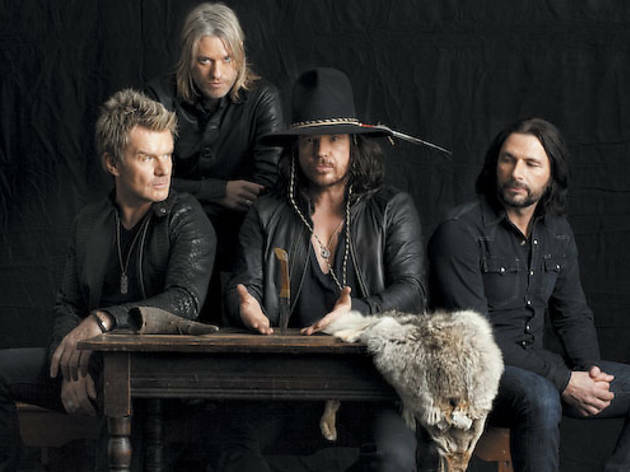 As new wave faded, Astbury and guitarist Billy Duffy were perhaps the only legitimate heirs to the rock throne. At its height, the Cult was supported by Guns N’ Roses on an American tour and had its own California version of Lollapalooza (Gathering of the Tribes). Astbury turned down the role of his idol, Jim Morrison, in that Oliver Stone flick. The alternative ’90s, which the Cult surely helped usher in, was a cursed time of dud albums and a cliché rift between Astbury and Duffy. 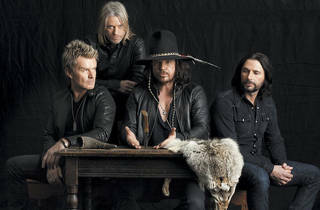 The Cult’s most recent comeback record (there have been a few reboots), Choice of Weapon, thumps and growls like the best in its catalog. “The Wolf” has a signature riff. Astbury’s timbres rarely soar as high as they once did, but that hardly matters. The 50-year-old now considers Boris and Sunn O))) fellow travelers, and his wild-eyed spiritualism has settled him comfortably in L.A., where he kicks soccer balls with Steve Jones. His questing nature means Cult reunions have had little of a cashing-in air, but definitely a searching one.